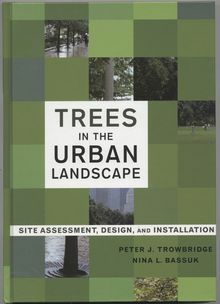 Trees in the Urban Landscape offers all the critical tools for successful planting in urban landscapes, from design conceptulization to daily maintenance. This is the perfect reference for addressing the complex issues involved in the greening of cities, landscape architecture, urban planning, urban design, and aboriculture, as well as students in these fields. More than 1000 illustrations clearly exemplify essential concepts, and helpful case studies demonstrate real-world practice. Complete with important technical specifications in each chapter.